Number of Shares: 2676 M.
D.B.E. Gurney Resources Berhad, an investment holding company, is engaged in the business of poultry farming primarily in Malaysia. It is involved in the operation of an integrated poultry broiler farm and a processing plant, as well as in the production of feed, and trading in related farm products and materials. The company was formerly known as Ding Brothers Enterprise. 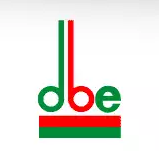 D.B.E. Gurney Resources Berhad was founded in 1986 and is based in Setiawan, Malaysia.